Vivo just raised their selfie game with a juicy announcement! The Chinese Mobile Phone Powerhouse recently announced both in their Twitter and Facebook pages that their new phone—the Vivo V15—is scheduled to release on the 20th of February. What’s crazy about this is that they also said that the V15 is equipped with a 32-megapixel pop-up selfie camera. Yes, you heard that right, and it’s as awesome as it sounds. In case you’re new to this planet (if so, then welcome to Earth), a selfie is a thing where you take a photo of yourself and upload it on social media sites to show your friends and family what’s going on with your life. It’s been a trend for a few years now and mobile phone companies have adapted to this trend by creating phones with better front-facing cameras. Vivo is one of those companies that sell cell-phones focused primarily on this feature, and they’ve taken selfies very seriously. Let’s talk about the V15’s 32-megapixel front facing camera. ‘32-megapixels’ means that every photo you take contains 32 million tiny pixels condensed into the resolution of your photo, and that’s a LOT of pixels. Theoretically speaking, the more pixels a photo contains, the lesser the eye can tell that the photo is made of pixels. It makes the photo look real and less digital. This doesn’t guarantee that the V15 will take splendid selfies every time though, as there is more to a high-definition photo than just the pixel count—the software, and actual camera quality also comes into play. Having said that, there is still nothing wrong with Vivo’s decision of bringing the megapixel count up to 32 as the Vivo Nex S (the V15’s predecessor) only had 8 megapixels and the photo quality was nothing to be that proud of. Typically, front-facing cameras are located just above a phone’s screen. It’s there so that when you take a selfie, you can see the screen while finding the right angles for your perfect shot. It’s practical and it works, but it does take up a lot of space on the face of a phone. Vivo decided to dedicate the entire face of the V15 for the screen because bezel-less phones are beautiful and all the rage, but this left them with one problem: there’s no room for the front camera. The engineers at Vivo did not even bat an eye and created the coolest solution ever: pop-up cameras. So now instead of having boring front-facing cameras, when someone wants to take a selfie, the front-facing camera futuristically pops out from the side of the phone. It’s a great solution overall. Right now, that’s about all the information we can give you about Vivo’s announcement. 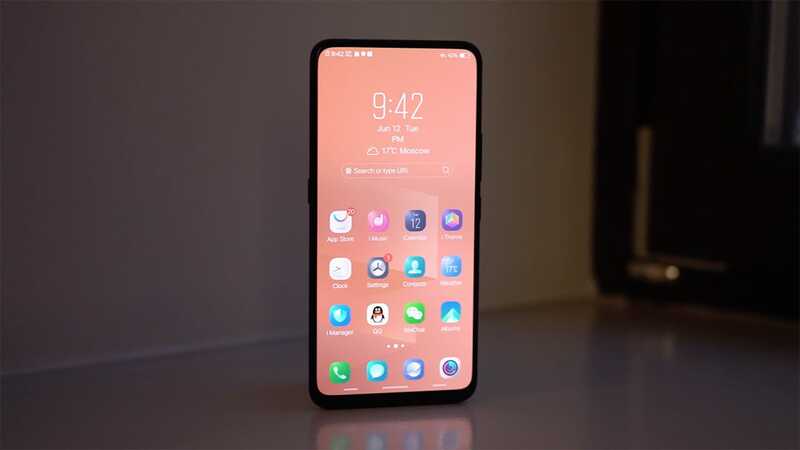 February 20 is drawing near and we can say we’re definitely going to get our hands on the Vivo V15. When we do, expect an in-depth review about the phone. The wait continues… and we’re stoked!